With technology constantly changing, the new thing in sports is to stream games over the internet. This is what gave the NFL the idea to give free broadcasting rights to Yahoo in order to stream live the game taking place in London in October. This is a huge step forward for the League, as they have already implemented many other changes, like the NFL Network and NFL Now. This is a great opportunity for both parties, as Yahoo has over a billion subscribers each month, which would give the NFL a huge boost in viewers and fans being able to watch live games in countries other than the United States. Yahoo will also be the first to do this legally and with direct permission, and who knows if it will become an exclusive deal. 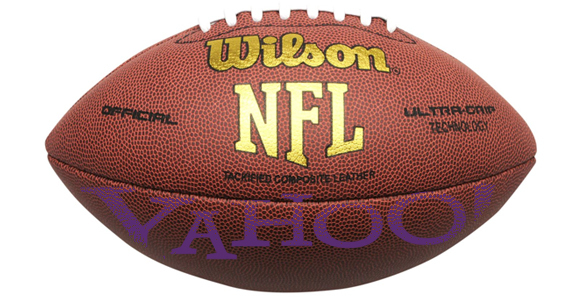 It will bring in a lot of publicity for Yahoo and the NFL, new members and fans, and in the end, bring in a lot more profits. So, for those fans waiting for the NFL season to start, they should remember to check at Yahoo.com on October 25, the Buffalo Bills and Jacksonville Jaguars game that will take place in London.